The 4th industrial revolution is unfolding worldwide, opening up new horizons driven by new-generation digital technologies such as the Internet of Things, High Performance Computing, cloud computing, big data, robotics, artificial intelligence and 3D printing. This change of paradigm has a profound impact on products, processes and business models in every industry, from construction, health and agri-food to the tourism and audiovisual sector. However, in order to unlock this potential, Europe needs to join forces under a common strategy that takes digitisation of the EU’s economy forward. 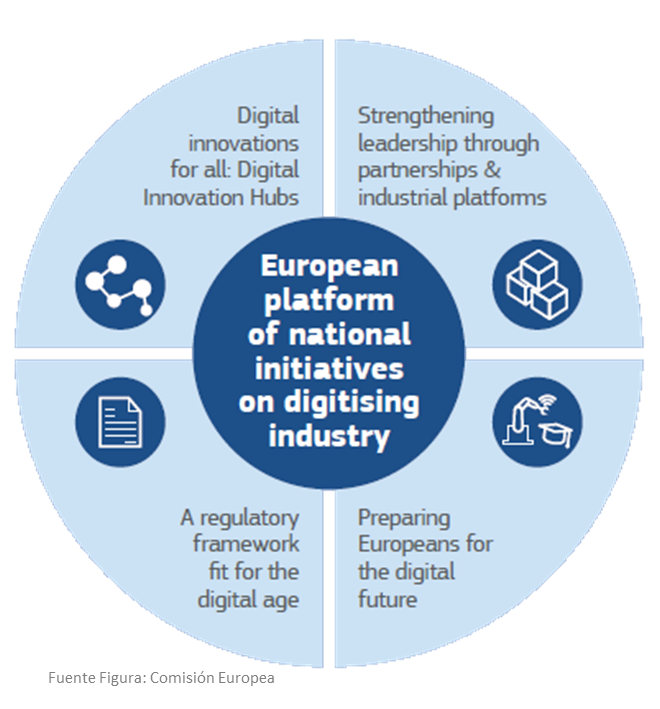 With this objective, the European Commission launched the Digitising European Industry strategy (DEI) in April 2016. The initiative aims to reinforce the EU’s competitiveness in digital technologies and ensure that every business in Europe - whichever the sector, wherever the location, whatever the size - can draw the full benefits from digital innovation. The Digitising European Industry Initiative is a key element of the Digital Single Market strategy, which aims to make the EU’s single market fit for the digital age. This need was also recognised at the Digital Summit in Tallinn in September 2017, where European leaders aspired to make the EU the ideal home for enterprises and innovators in the digital age and to accelerate the digital transformation of industries. Member States and regions play a key role in establish DIHs that support the digital transformation of the industry in their regions. This can be financed through European Structural and Investment Funds (ESIF) or other national or regional funds. The role of the European Commission is to network the DIHs. For this, the European Commission is investing €100 million per year on DIHs from 2016 to 2020.